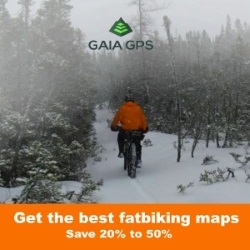 To date fatbike tires have allowed riders to traverse snow, ice, mud, rocks, sand and just about anything else mother nature and old man winter can throw at us. If there is a terrain . . . there is a tire for it. 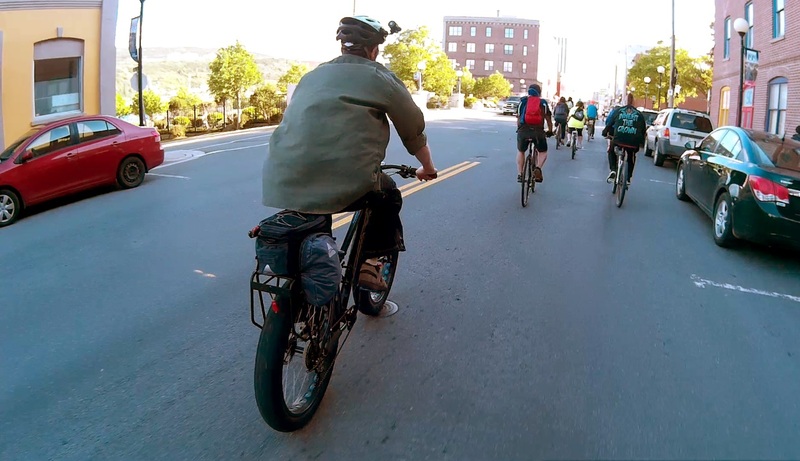 Those of us who have ventured onto the concrete and asphalt of the urban jungle have done so on the same heavy lugged tires. While great off-road these tires are not super agile, take a lot of energy to spin and they rumble like heavy machinery. Not to mention the wear and tear they take on the unforgiving solid surfaces. 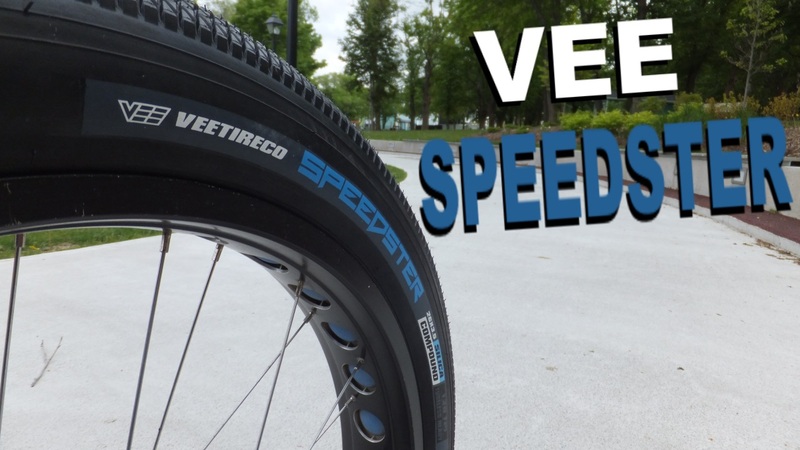 The folks over at Vee Tire have a solution for the urban adventurer and it is called the Speedster. 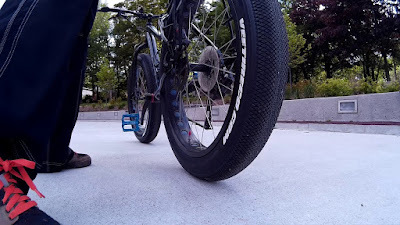 Fatbike Republic was provided a pair of these uber fast, friction fighting tires for review. 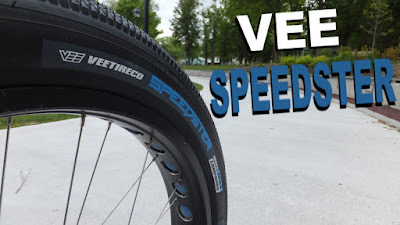 The Speedster is available in two fat size: 26 x 3.5 (reviewed) and 20 x 4.0. The 26 x 3.5 have a folding bead, is tubeless ready with a 120 TPI, and is made from Vee Tire's mid-range Silica compound rubber. 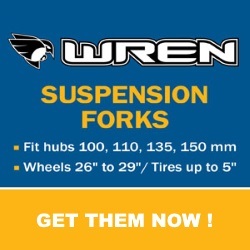 According to the tire experts at Vee Tire . . . The Speedster was designed for rolling speed and minimal drag on hard pack or paved terrain. The honeycomb center tread provides virtually zero rolling resistance and unbelievable tread life. The honeycomb feature also gives you excellent traction in dry or wet conditions. Large diamond shaped side knobs provide the grip you need in corners, while the tread knobs get smaller towards the center for the ultimate speed and traction. And with its balloon-style structure, you'll feel like you're floating on air. 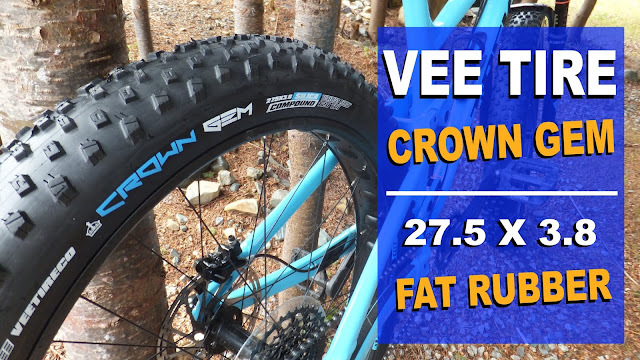 The Speedsters are the least imposing of the entire Vee Tire fatbike tire lineup. Taking a closer look at the sidewall they are indeed tubeless ready and directional . 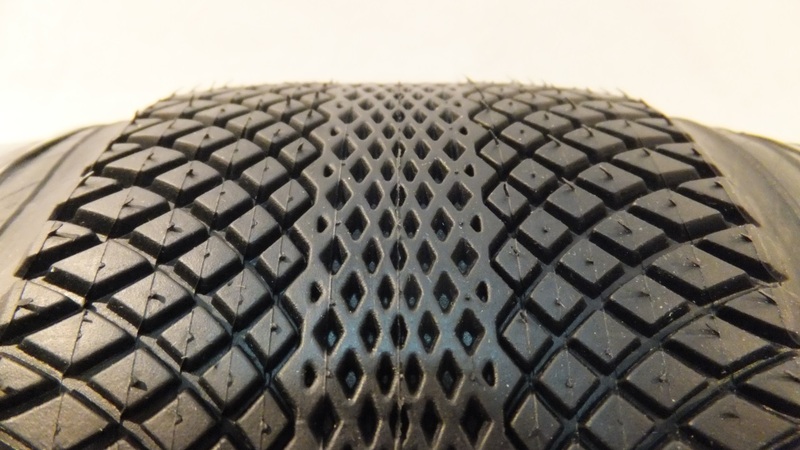 . . although the tread pattern appears more symmetrical. 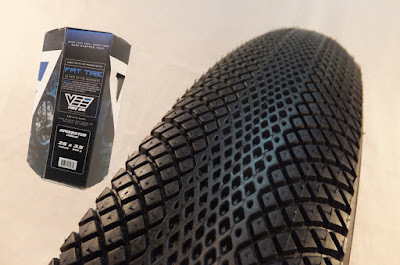 The tread pattern on this tire is very subdued when you compare it to other fatbike tires. Sweeping chevron sipping on the shoulders create a tight rectangular lug pattern that leads to the center of the tire. And Vee Tire nailed the description of the center "sweet spot" when calling it honeycombed. The Speedster weighs in at 1106g which is 156g heavier than the claimed 950g. 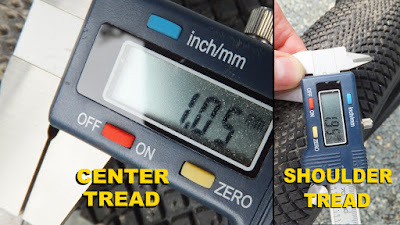 Tread depth is pretty much non existent, when compared to other off-road specific tires . . . at 1.95mm (0.08") on the shoulders and 1.05mm (0.04") in the center. 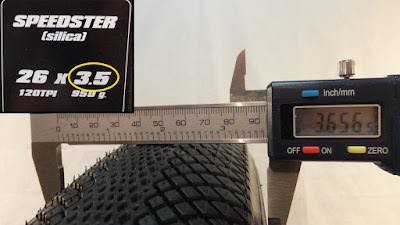 Putting the calipers on the tires (80 mm rim @ 30 lbs) the Speedsters measure in at 3.66" which is slightly larger than the claimed 3.5". 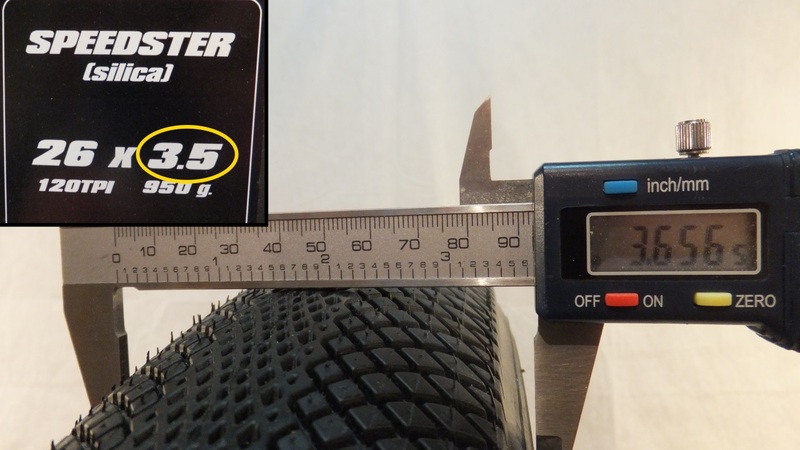 The recommended tire pressure for this tire is 8-36 PSI. This is not an off-road tire. If you intend to take this tire into areas where you need the traction of an aggressive tire . . . you will be disappointed. This is not an off-road tire . . . did I say that already? 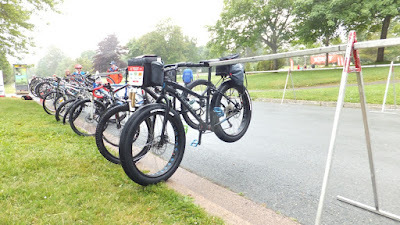 The Speedsters were mounted to a Norco Bigfoot Fatrod . . . a first generation Bigfoot, converted to a 1x9 with a Wolf Tooth elliptical chainring. The tires fit quite nicely on the 80mm rims, however they may be a bit of a stretch on 100s. Before hitting the road there was some tire pressure experimentation. With anything less than 20psi there was self steer and the tire felt a little odd. 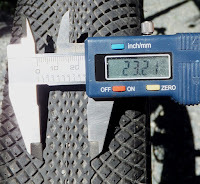 I found that 30psi worked the best allowing the tire to primarily run on the 23mm (0.9") honeycomb sweet spot in the center of the tire. 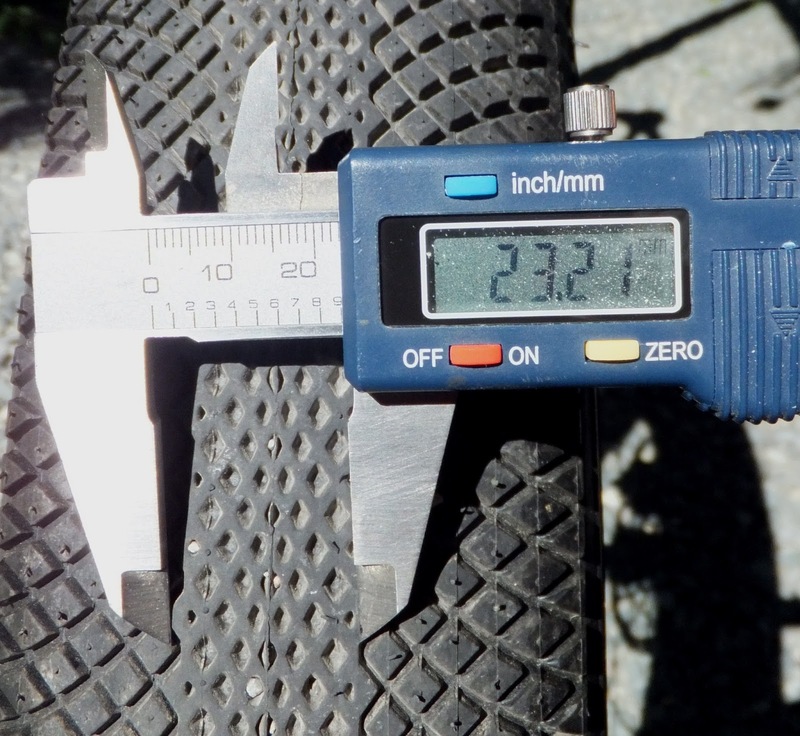 All cushioning effects were lost at 30psi. About 250 km were put on the Speedsters on urban streets, city paths and rural roadways. The Fatrod participated in a Critical Mass, fundraising activity for the Heart & Stroke Foundation, played in a BMX park, did some pavement pounding and general scooting around. Knowing full well their off-road limitations, the Speedsters were exposed to some loose gravel trails. 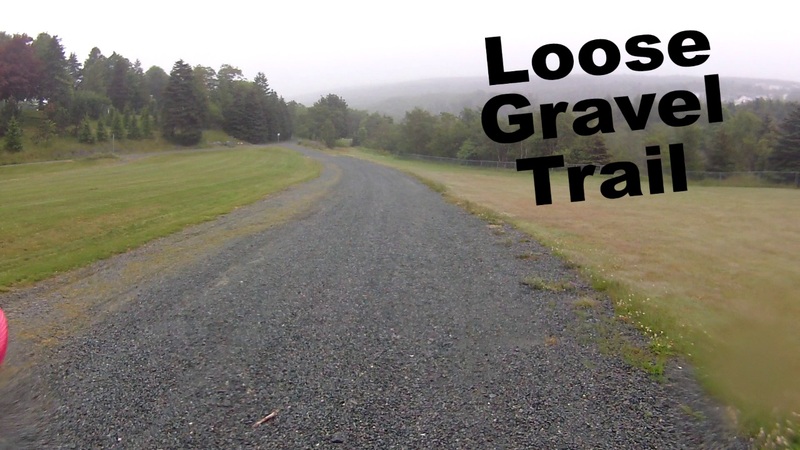 Traction was practically non existent as the gravel rolled under the tires. The extent of the Speedsters off-road capability should be limited to well packed dirt paths. Needless to say these tires drew a lot of attention from cyclists and non-cyclists with the most common question being "are they hard to pedal?" When carrying 30 psi the tires rolled on the center honeycomb, which had a very small contact patch, and therefore very little friction. A 20 km road route that I enjoyed in a previous life would take me 55 minutes on a skinny tired roadie . . . with the Speedsters it took 65 minutes. They roll pretty quickly with minimal effort. The tires also shed water like a wet dog. Heavy drizzle/light rain had no impact on the tire's traction as evident during a 20 km road ride fundraising event. And while riding the road I did not have to scan the bike's path for ruts, crevasses and loose dirt as I would have on the skinny as the Speedsters are very forgiving. Moving off the pavement to the dirt shoulder could also be done at speed and not have to worry about washing out. I did get two flats when running these tires. 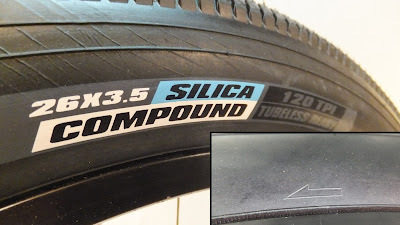 In both instances I was running ultralight 26 x 2.4 tubes with 30 psi and found nothing puncturing the tire itself. 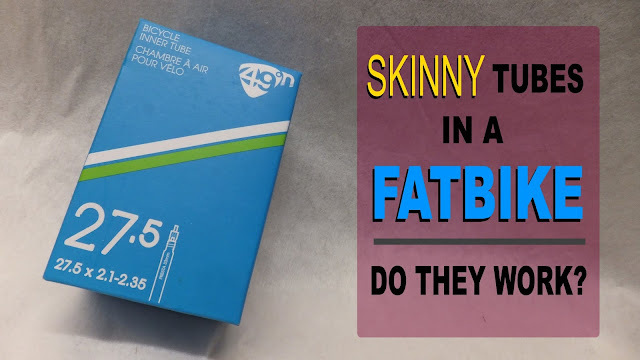 When I switched to a true fatbike tube (26 x 4) there were no more flats. I'm guessing the stretched 2.4 with the high pressure killed the tube. I also spent some time on heavy packed dirt walking trails. The Speedsters performed very well and were very swift. They did pick up some tiny rocks in the honeycomb pattern, but they were soon ejected after reentering the pavement zone. The Speedster is much more at home cruising the blacktop than cutting a backwoods trail. The non aggressive profile has just enough grip to make packed dirt paths fun. 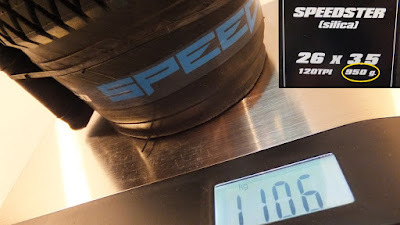 You have to run them at pretty close to max pressure to get the best performance and tubeless might be an option as high pressures and ultralight tubes do not play well together. 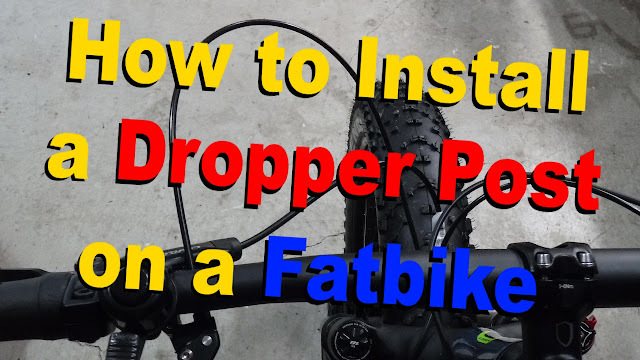 If your riding tends to be more on the urban side with a splash of dirt . . . the Vee Speedsters may be right up your alley. I recently mounted the 26 X 3.5" version of these Speedsters on my Surly Ice Cream Truck. 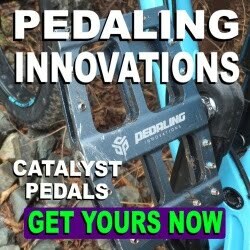 Here in Boise Idaho we have hundreds of miles of single track mountain biking trails that get very sandy and dusty during the summer months. 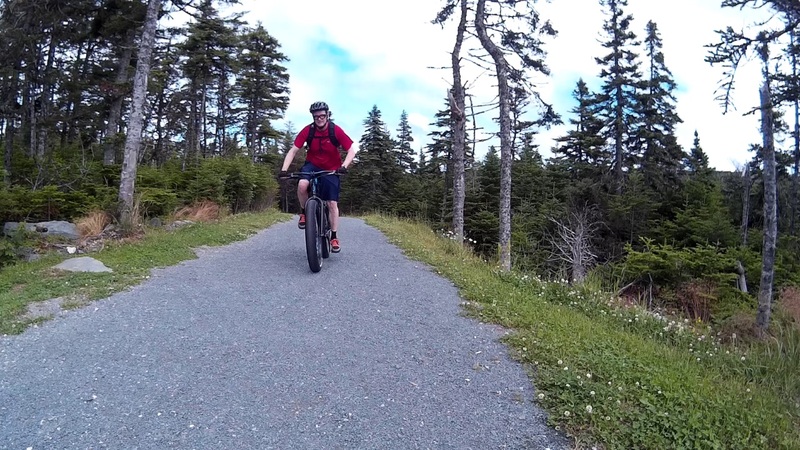 These tires preform very well in these trail conditions and have allowed me to virtually float over deep sandy sections of trail. I've been running them at about 10 PSI on my Clown Shoe rims and they are perfect. Just wanted to interject here that they can be ridden off-road given these condions. Good to know. Thanks. I'd love to see a pic of them mounted to a clownshoe. With an 82mm rim would you get the 3.5 or the 4.0?